It's so long since I had something to blog about, I almost forgot how to create a blog post! 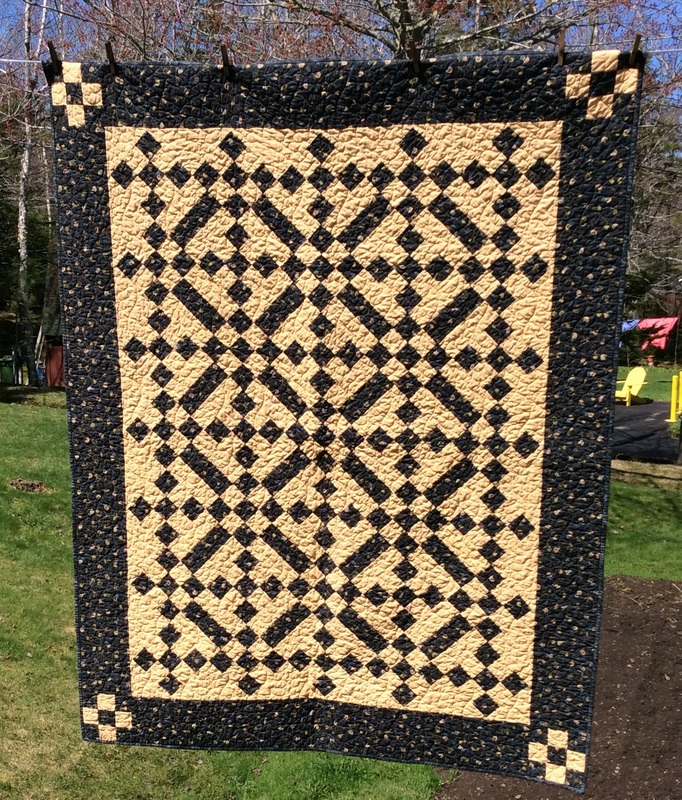 I finished the flimsy for this quilt at the end of February and just quilted it this week. 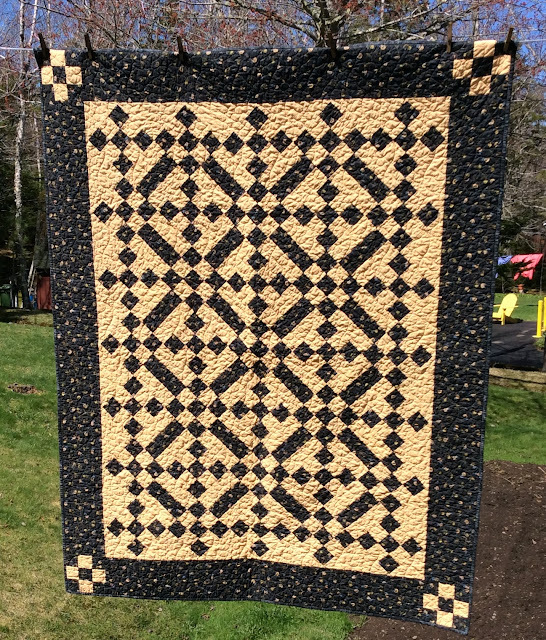 I will be entering it in our Guild's Mystery Quilt show and share in a couple of weeks. I believe there is a viewers choice prize - if I win anything, I will be sure to blog about it! I HAD to use my funky feathers pantograph since there were chickens in the blue print and I love matchy-matchy! You can see a close up of the fabrics, quilting and the binding here. 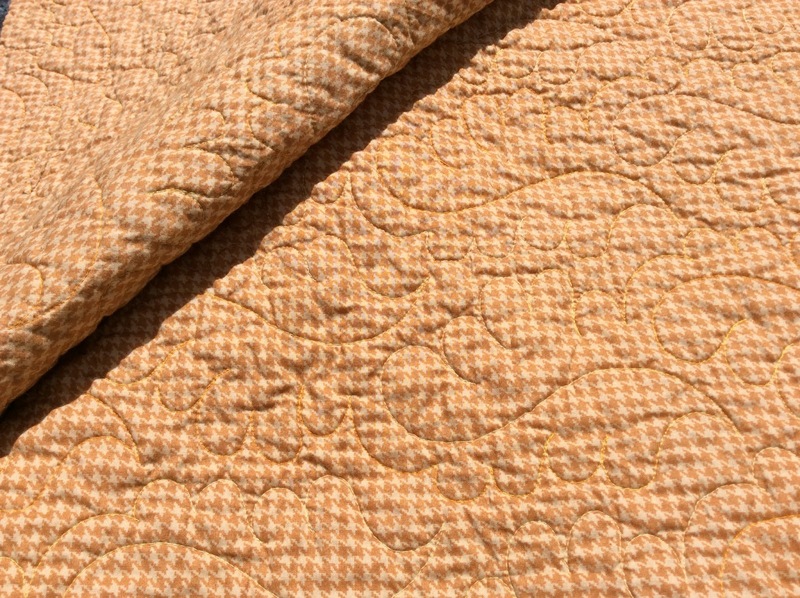 I'm linking up with Crazy Mom Quilts for Finish it up Friday! Great finish! 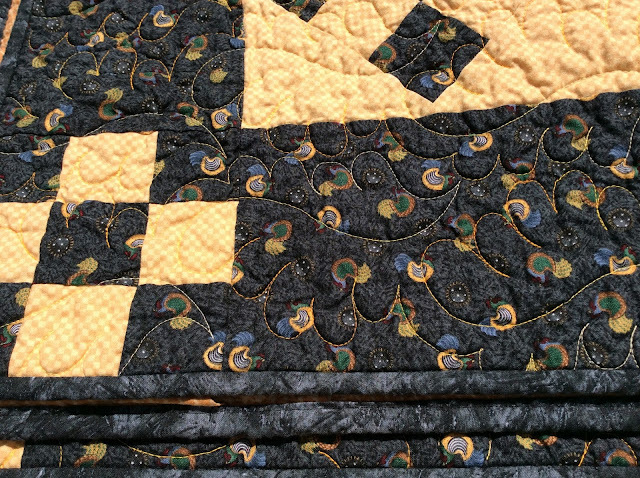 Love those chickens and the funky feathers quilting!